You are here: Home / Grilling / Labor Day: Hot Dogs, Buffalo Popcorn, and Football! Labor Day: Hot Dogs, Buffalo Popcorn, and Football! 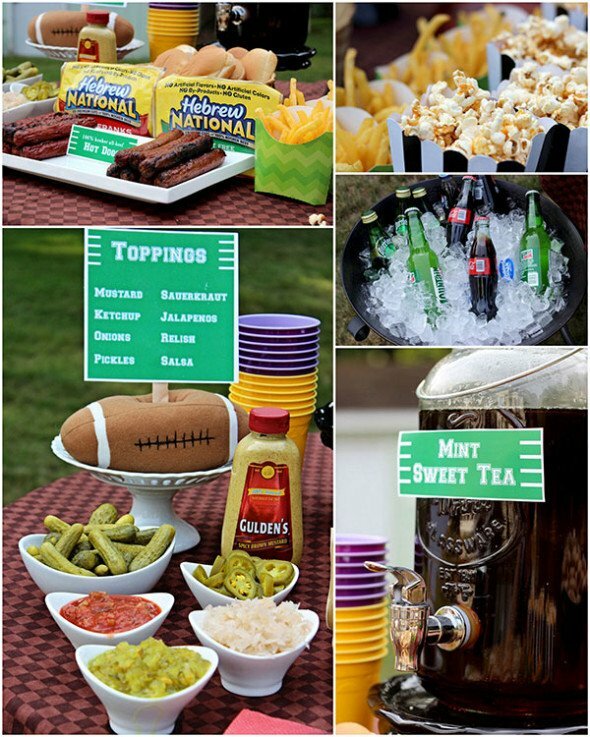 I’m so excited that football tailgating is finally back! I live for this time of the year. I’m a huge college sports fan, and the kickoff to the 2013 season is just days away now! I also enjoy watching NFL games on Sunday afternoons, and I’m excited to watch the New Orleans Saints make their push back to the playoffs this year. 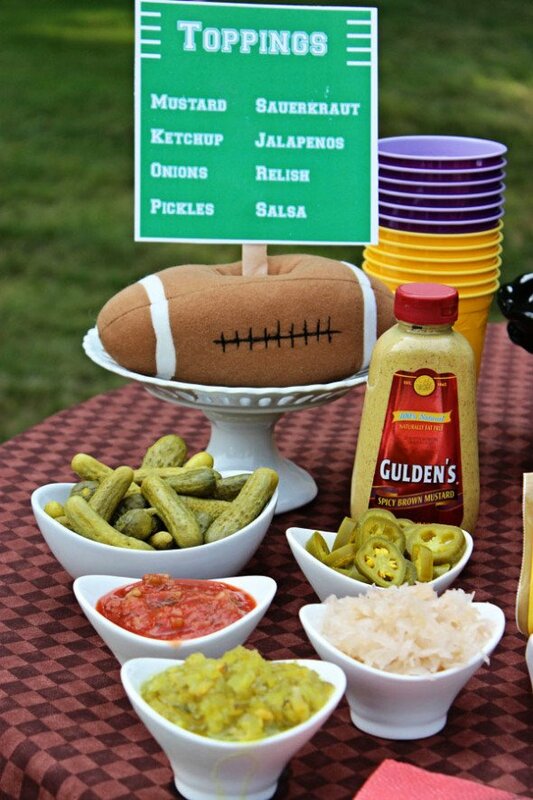 And of course, you can’t have football weekends without tailgate food, right? Nothing beats a crisp Fall day with a football game on television and the grill going on the back porch! 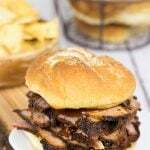 My wife and I love having friends over to watch the games, and I’m excited to share a couple of my favorite tailgate party ideas with you today. 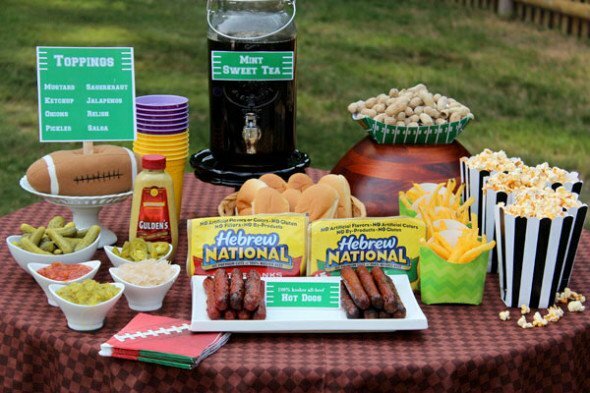 One of my go-to party ideas is a “Create Your Own Hot Dog” bar. This requires minimal effort for you, but is loads of fun for your friends and family! Grill up plenty of hot dogs (I prefer Hebrew National since they are 100% beef), and lay out a variety of different toppings. 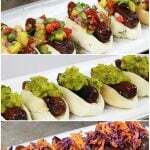 Include the standards like ketchup, mustard, and diced onions, but also throw in some unique toppings like salsa or jalapenos. Get creative here! Folks will love creating their own hot dog ideas. You could even have your friends vote on who comes up with the most creative hot dog! And, of course, make sure to have a television or two handy for the sports fans, and a couple of yard games (like Bean Bag Toss or Bocce) for the kids and others. 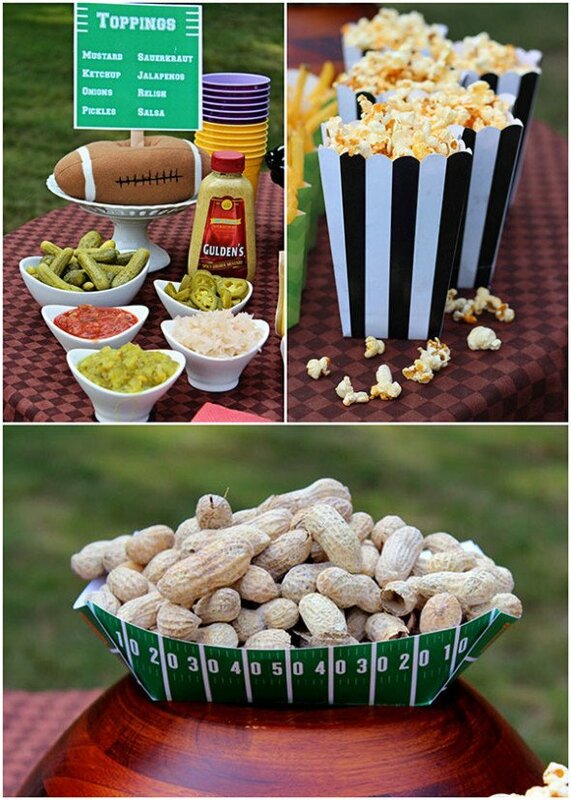 Along with the hot dogs, put out plenty of traditional tailgate snacks like chips, pretzels, and peanuts. One of my favorite football snacks is Buffalo Popcorn. It features all of the flavors of buffalo wings, but it’s so much easier to eat during the big game! If you notice, the theme here is simplicity. I don’t want to spend the whole time in the kitchen once the game starts. So, with just a minimal amount of work ahead of time, you can actually enjoy both the game and your party! Add the canola oil to a large saute pan (with a lid) and heat over medium high. Place one kernel of corn in the pan as it is heating. Once the kernel pops, add the remaining kernels. As they are popping, gently shake the pan frequently to prevent burning. Meanwhile, combine the melted butter and buffalo sauce. Mix well. 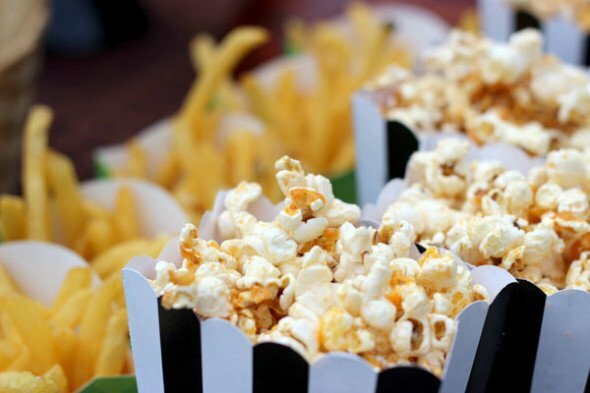 Once the popcorn has popped, transfer it to a large bowl and drizzle the butter mixture on top. Toss frequently so the mixture covers the popcorn evenly. Finally, combine the salt and garlic and mix well. Sprinkle over the popcorn, tossing frequently. Note: Several of the printables for this party came from Hostess with the Mostess. Check them out here! 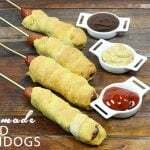 Make Your Own Baked Corndogs! GENIUS! I am totally making that popcorn for our party this weekend! Love it! Thanks, Karen! It is so incredibly easy…and totally tastes like Buffalo Wings (except way easier to eat)! Hebrew National are the best hot dogs! Love ’em. Can you believe it’s back to school time already?!! I love ’em, too, Sue Ann! We’ve eaten a ton of them this summer! And no…I can’t believe it’s already Fall. But I am excited to turn my attention to baking for a bit here!